I have Lost My I.D Card in The College Campus ~ Classin.xyz- The Ultimate Resource For Jharkhand Gk, Gk, Eduction ,eduction News, Mobile. All the student of my college ,I want your halp. Because I lost my I.D card in the college campus . 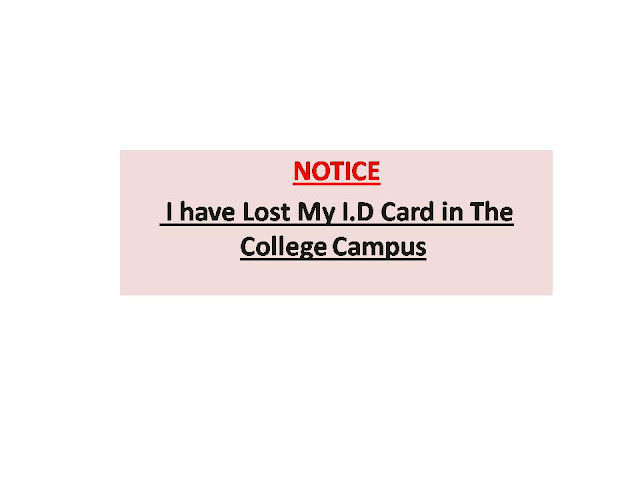 So, please help me to find out that I.D card which student got that I.D card he returned to me . l shall be very thanked to that student.